The pure talent jewel does indeed work when you allocate a jewel in the starting location. Under my Super highly recommended gear tab I go into why you choose the gem. In my variant of the build, I pick up Scion, Ranger, and shadow starting areas for stats, movement, and crit chance. I do have tankier variants of the build listed in which you can drop shadow in favor of marauder, gaining more health along the way and aoe. I do not recommend the duelist as the life leech is minimal for the heavy passive point invested to reach. Other nodes are far better choices. I appreciate your concern in regards to life leech. I have done more testing and these are my results. When looking at this build from a theoretical standpoint you would think each of those items would be great for the survivability of the build. For the practical applications, things are different depending on how you are building the character. Carnage heart and The Retch: - Due to the fact that leech rate cap is hit with Blood Rage + Thief's Torment, The life leech you gain from swapping Daresso's and Belt of the Deceiver is very minimal at best (On path of building, my build starts at 1,824 and goes up to 1,854. The leech Rate must be brought up a fair amount to even utilize this as with all Life Leech Builds. The stats/resists of the Carnage heart can make gearing easy while leveling, however the Daresso not only gives +2 weapon range (which is big), great resists as well, movement speed and more damage overall than the carnage heart. The retch while the damage gain is comparable to belt of the deceiver, the BotD still scales higher, offer more lightning resist if you are going full uniques, which is really important. gives you defense against nasty extra crit with the draw back of losing +40 hp which is about a 70 overall hp difference. I personally would rather take the Belt of the Deceiver. With Vaal Pact for higher leech rate: Since the damage is scales so high, even with Vaal pact, each item makes a very minimal difference in leech rate. 2,877 to 2,941 with both equip and losing AOE, movement speed, defense, well placed resist, and overall damage. As for the Life leech effects on not lost on full life, That is mainly scaled off each hit of your Cyclone. Since each hit is so high to easily over leech, the life leech effects are not changed in any big way by stacking a lot of leech rate or by trying to push past the life leech rate cap. I added the question about The Retch and Carnage heart to my F.A.Q. section for future reference. Wow, thanks for the in-depth answer, I'm using carnage heart for levelling but will drop it off after I picked up the crit nodes in the shadow area. Thank you for the questions. It helps answer any points that maybe someone has not seen in the guide and keeps me improving upon the build. If you have any more questions, please share them. I do not mind sharing the information/ my mindset with the build. Added a completed Atlas to the build guide. Hi i dont want to use leap slam or any movement skill. What can i use on starforge? While I highly recommend using Leap Slam for it's amazing speed, ability to overcome all height and gap issues in maps, and quick and easy way to provide fortify (A nice physical defense buff); there are other options if you really want to take that advantage away. 1 - Buff up the Ancestral Warchief totem. You can take that gem out of you helm and place it in the Starforge, putting on physical support gems that match the ones you would put on your cyclone. Depending on the number of links (4 to 6) this will add a good chunk of extra damage to the build. Leap slam - faster attacks - fortify. If you do this you can place the totem in that last slot if you went with option 2 and drop Vaal Haste in the boots and put in the golem. option 1, either dropping vaal haste for the golem or making the totem a 5 link and just tacking on the golem there. Again totally up to you. 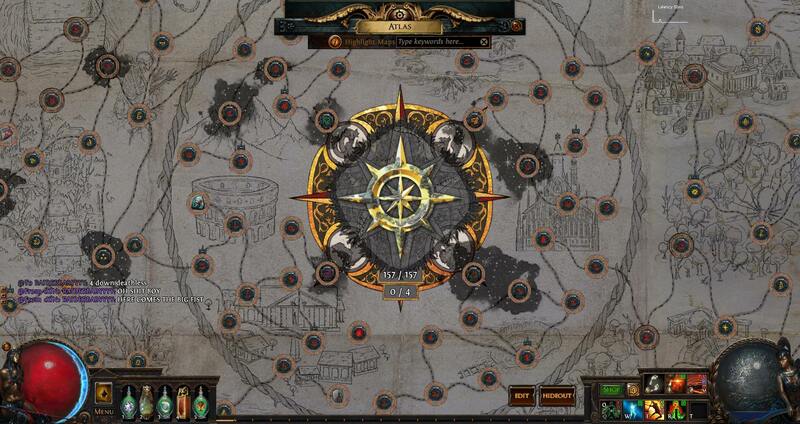 I finally have all the Shaper Mem Fragments and just popped Uber Elder. Will post progress, boss build set up etc etc. 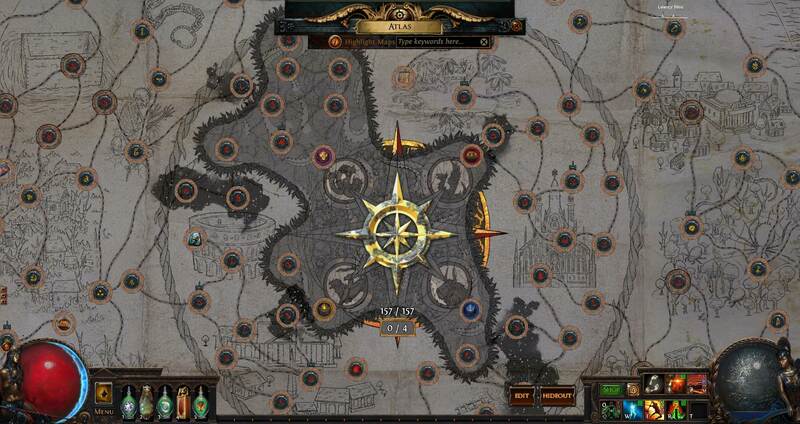 4 Uber Elder Guardians Down! I have videos I will be uploading for 3 of them b/c I'm dumb and didn't hit record on the 4th one. 2 were deathless and the other 2, 1 death each due to me getting greedy and trying to facetank for too long haha.